Half of my family (and half of the Internet, it seems) all has eyes and phones locked on the same Black Friday sales page right now — and, likely to the disappointment of the big retailers, it’s not any of theirs. 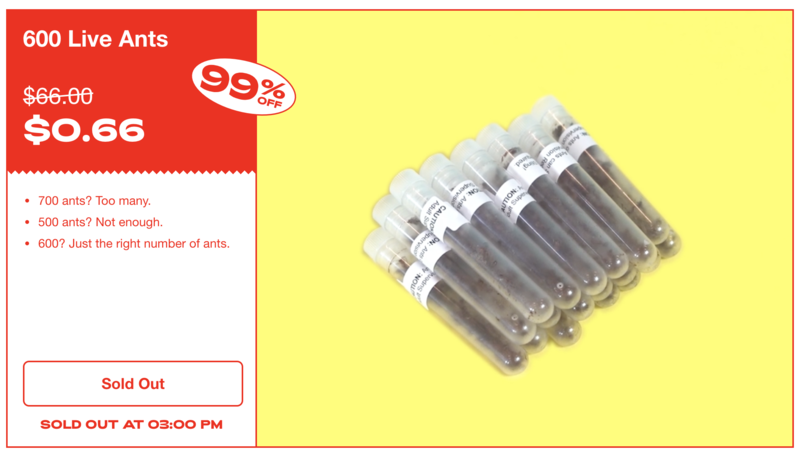 In the latest in a streak of wild Black Friday stunts, Cards Against Humanity (the wonderfully offensive fill-in-the-blank “party game for horrible people”) is selling a different ridiculous item for 99 percent off every 10 minutes. It could be a life-size cut out of Orlando Bloom for 75 cents… or it could be a 1.5 carat diamond for $32. An $800 Applebees Gift Card for $8 which tbh I’m still not 100 percent certain I’d want. 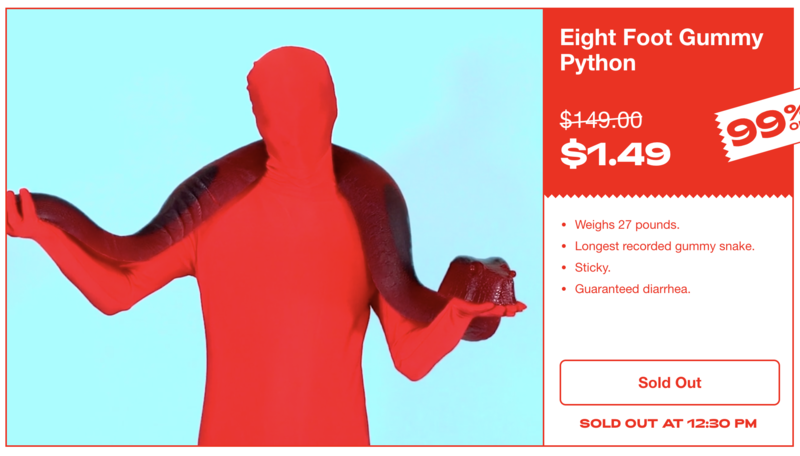 In many of these cases the items are one-of-a-kind, going to whoever managed to hit the buy button and answer a trivia question (to “prove you’re not a robot”) first. If it was anyone else doing this, no one would believe it, but over-the-top Black Friday stunts are sort of Cards Against Humanity’s MO. Part protest, part publicity stunt, and part joke, the stunts always manage to highlight the absurdity of Black Friday while making everyone laugh. Last year they pivoted into a potato chip company, temporarily dropping out of the game biz to instead focus on selling “Prongles.” For Black Friday of 2016, they convinced people to spend $100,000 to dig a hole so that in coming years you might think back and chuckle about that time you spent money digging a hole. In 2015, they made over $70,000 selling nothing — literally, you give them $5 for nothing (and they made it very clear it really was nothing and they weren’t going to surprise you by actually sending something). 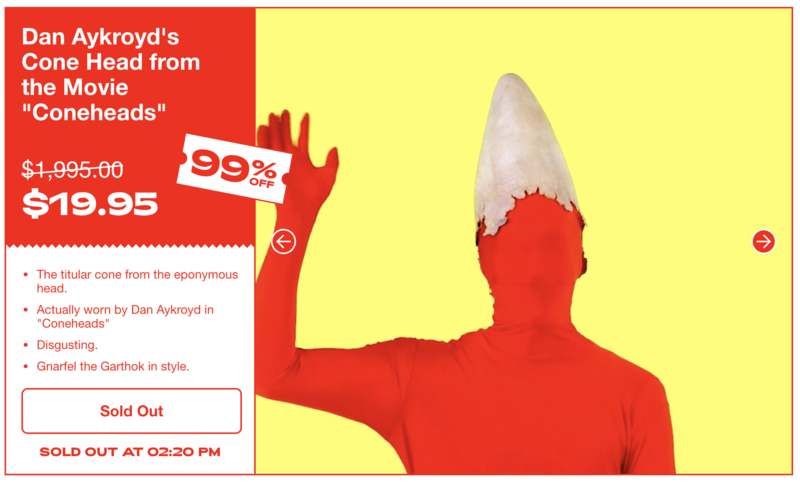 And to prevent anyone from walking away empty handed just because they weren’t first to click the “buy” button on Dan Aykroyd’s Cone Head from the movie “Coneheads” (another actual item they sold this morning), they’ve also got a (gasp) actual product of their own for sale starting today. Called the “Absurd Box,” it’s a pack of 200 new cards for $20 — which, they note, would otherwise go for $2,000.